While anxiously awaiting my October Ipsy bag full of treats, I cast my mind back and think of the goodies from my September bag. Hopefully this will help pass the time until my new bag arrives! My favorite thing from September was this brush! 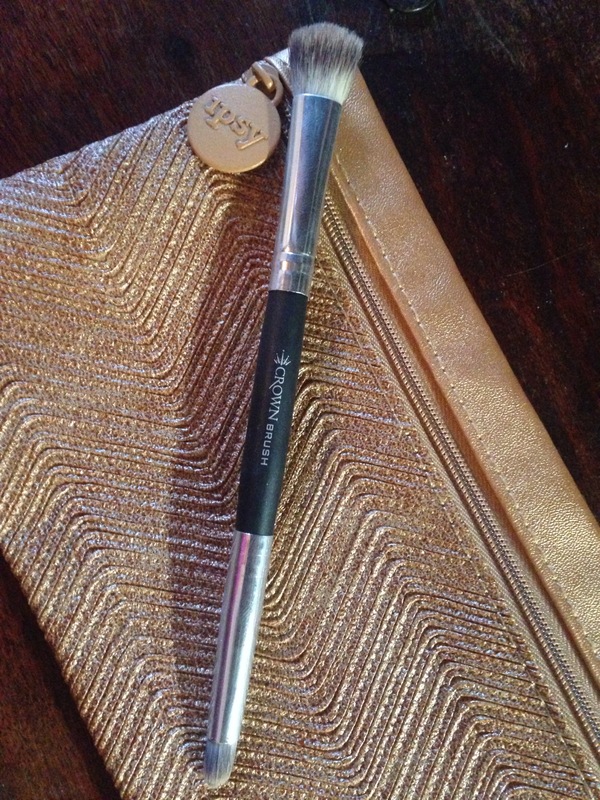 I must confess that this fave was a no-brainer as I am obsessed with brushes! Especially brushes with dual ends and purposes. The larger side is soft and gives great coverage all over the eye. The smaller side is firm and perfect at contouring. Pairing this up with my new Avon palette Warm Sunrise ensures a beautiful fall! Till next time enjoy beautiful blessings! This entry was posted in Glam bag, Ipsy.